As the millennial generation increasingly opts for “e-presentment” of monthly invoices and statements, companies that print these documents may find the ground underneath their business shifting as the transactional printing segment rapidly develops in today’s multi-channel environment. 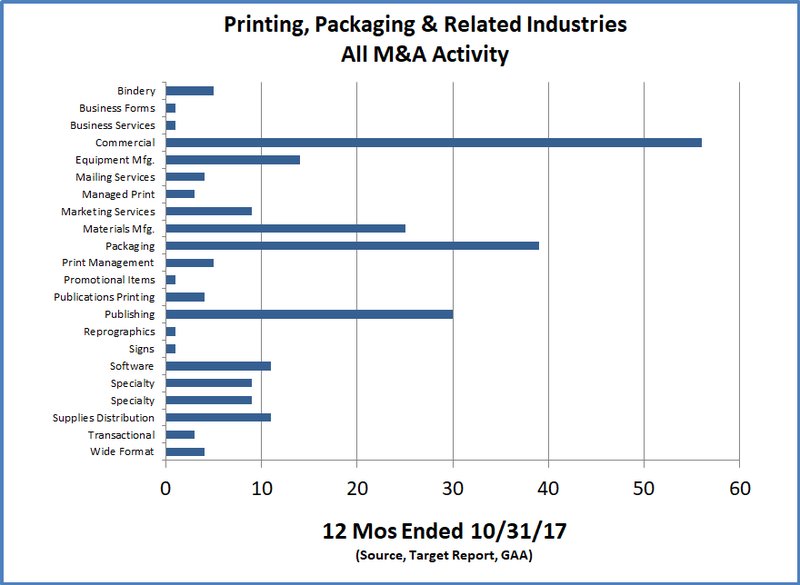 Recent acquisitions are indicative that the conditions are fertile for roll-up and consolidation in the transactional / transpromo segment of the printing industry. OSG Billing Services, headquartered in New Jersey and with ten locations nationally, announced the acquisition of Illinois-based Microdynamics, with three Midwest locations. The two companies list nearly identical service solutions on their respective websites, offering transactional / transpromo printing, mailing of statements and invoices, and electronic bill presentment. While each company is not an exact mirror of the other, the “e-services” noted on their websites include archival services and delivery via email. OSG also offers mobile apps, clearly aiming to nurture and grow its e-presentment capabilities to its current print-centric customers. Acquired just four months ago by New York-based private equity firm Aquiline Capital Partners, OSG is now established as a new platform company poised for bolt-on additional revenue and production capacity in both print and electronic transactional document processing. The sale to OSG was a secondary buyout for the acquired company, Microdynamics, which was the target of an initial buyout by Wafra Partners in 2006. Not surprisingly, Wafra was ready to move on, having held Microdynamics in its portfolio for eleven years through the entire economic cycle from the peak before the Great Recession to the current bull market, far longer than the median five-year hold period recently reported for PE exits this year. Newly planted into Aquiline Capital, OSG and its recently grafted-on offshoot Microdynamics are poised for additional growth in a segment likely to experience more consolidation. Companies that can only process the print portion of billing presentment in this multi-channel environment may be well advised to seek a partner while the sun is still shining on targets in the transactional / transpromo printing business. The Snow Phipps Group, a private equity firm based in New York acquired Brook & Whittle, a Connecticut company that manufactures prime labels, in a secondary buyout transaction (for a discussion about secondary PE buyouts, see Moving Pieces Around on the PE Chessboard, The Target Report – October 2016). Brook & Whittle was previously owned by RFE Partners and Charter Oak, two private equity firms that had jointly acquired Brook & Whittle in 2009. Under that initial PE ownership, Brook & Whittle expanded its production capacity to produce high volume pressure sensitive labels, and in 2011 completed the strategic add-on acquisition of the Packstar Group in Buffalo, New York which significantly expanded the company’s shrink sleeve label business. Also in the label segment, industry roll-up giant CCL Label acquired the balance of the 37.5% minority shares that it did not already own in its Chilean subsidiary, Acrus CLL. Our calculations of the purchase price paid, relative to the percentage of shares outstanding, indicate that CCL paid approximately 5.8x times last year’s EBITDA, very consistent with the range of 4.1x to 6.0x in which CLL has stayed within in all its reported deals of smaller label companies (see Sticky Discipline for the Label Business, The Target Report – May 2016). In the segment where we hear that purchase multiples are often approaching or in the double-digit range, flexible packaging printer and converting company Seville Flexpack, located in Oak Creek, Wisconsin has been acquired by the German flexible packaging manufacturer Südpack Verpackungen. The buyer, with plants throughout Europe, announced that it plans to acquire more US-based flexible packaging companies now that it has a foothold in the US market. Nosco, a division of ESOP-owned Holden Industries, acquired Gooding Company in a move that broadens the types of printed products it can provide to its existing customer base. The purchased company, based in western New York State, produces mini-folded inserts and outserts for the pharmaceutical, nutraceutical, medical device, health, and beauty markets, the same markets into which Nosco provides offset and digitally-printed labels and cartons. Vomela, with in excess of $237 million annual revenue and much more known for its prowess in the point-of-purchase and fleet marking segments, once again added to its portfolio of commercial printing companies with the acquisition of Tepel Brothers Printing in Troy, Michigan. The acquired company will retain its name and operate within Vomela’s C2 Imaging unit which this past March also added Elk Grove Graphics to the roster of commercial printing companies joining the Vomela Companies (see The Target Report – March 2016). Two smaller commercial printing companies in Sanford, Maine have announced that they will merge operations, with Edison Press acquiring Lincoln Press. Consolidation and shrinkage within the commercial segment was further evidenced by the involuntary Chapter 7 filing against Integrity Graphics in Windsor, Connecticut. As we noted in our July 2017 log of non-bankruptcy closures, Integrity had closed its operations and an auction of all the equipment was scheduled for September.